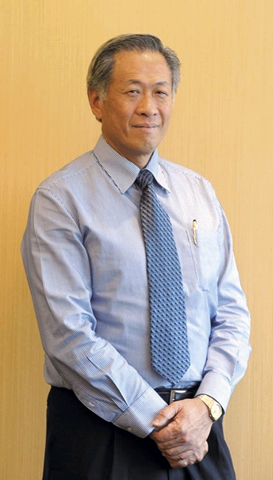 Ng Eng Hen is the Singaporean Minister of Defence. (Singaporean Ministry of Defence). The security challenges facing Singapore encompass both traditional and non-traditional threats, according to Singapore’s Minister of Defence, Dr Ng Eng Hen. "In terms of traditional threats," he said, "the world is increasingly interconnected and even events that take place far away affect Singapore. "If someone suggested 10 to 15 years ago that Singapore would send assets and troops to Afghanistan it would have been dubbed a fantasy, but here we are with a number of rotations to Afghanistan [and the] Gulf of Aden, as many other countries are." The Singapore Armed Forces (SAF) have been deploying various specialist detachments to Afghanistan since 2007, including weapon-locating radar teams and medical teams to Uruzgan in southern Afghanistan and a 52-strong unmanned aerial vehicle task group to Tarin Kowt in Uruzgan province. Currently, a six-strong imagery analysis team is also stationed at Tarin Kowt, while a team of military institutional trainers (MITs) are deployed at an artillery school at the Kabul Military Training Center until December 2012. The SAF will also deploy a five-strong MIT team to Uruzgan between February and November 2012 to partner the Australian Defence Force in training Afghan National Army commanders to detect and identify improvised explosive devices. "Singapore wants to do its part in this global effort against extremism as we recognise that it can affect all of us," said Ng. "We have contributed in ways that we think are meaningful and aid the stability of Afghanistan so that extremism is not exported. "I won’t overstate our contributions, but neither has it been a token force," Ng said. "We have sent what we can, we played our role and our philosophy has been [making a] meaningful contribution, which we will continue to do." Singapore has also provided a landing ship tank and maritime patrol aircraft to Combined Task Force 151: the international anti-piracy mission in the Gulf of Aden. Aside from that and the International Security Assistance Force (ISAF) contribution in relation to the threat of extremism, Ng added that Singapore was also in an area that contained key sealines of communication, including the Strait of Malacca and South China Sea. Furthermore, the rise of China and India and evolution of countries belonging to the Association of South East Asian Nations (ASEAN) in terms of population, expertise, production and consumption – factors that shift security circumstances – demand a new security architecture, said Ng. In Singapore’s view this architecture will preferably be built around ASEAN, given the organisation’s centrality to the region. "The other stakeholders, whether it is the US, China, India, Australia or Europe, can understand that if ASEAN is in the driver’s seat there is a good reason to find common ground for security and stability in the region," Ng said. Significant security achievements have already been made with the ASEAN Defence Ministers’ Meeting (ADMM) forum encouraging dialogue and co-operation between member states. To this end a common statement was issued in May 2011 laying down its aims towards building a stable and secure region. The establishment of the ADMM+8 in 2010 has also enabled ASEAN to have a security dialogue mechanism with eight Asia-Pacific nations: Australia, China, India, Japan, New Zealand, South Korea, Russia and the US. Ng said one of the key achievements of the ADMM and ADMM+8 had been establishing five expert working groups dealing with maritime security; humanitarian assistance and disaster relief; counter-terrorism; military medicine; and peacekeeping operations. "These are not news grabbing, but on a day-to-day basis they add much to maintaining stability," he said, "because if you exercise regularly and know your counterparts, it reduces the risk of miscalculation and misunderstanding." Singapore’s close and long-standing relationship with the US means that it views President Barack Obama’s much-vaunted ‘shift to Asia Pacific’ in less dramatic terms. "I’m not sure that the US ever went away; if you look at the record, they’ve been very much around," Ng said, adding that the city state strongly believes "that the US presence in this part of the world has enhanced regional peace and stability". On China’s rise, Ng said that it was in "everyone’s interest – including China’s – for it to play a constructive role and to support the global system that at the end of the day it will have to rely on to prosper and thrive". With regard to non-traditional operations, Ng highlighted a global trend for militaries – and their large reserve capacities – to take the lead in humanitarian and disaster relief operations: a trend in part due to the privatisation of other public bodies. Meanwhile, he added that the threats of terrorism and weapon proliferation have not gone away. "The scope of operations for the military, not only for Singapore but also other countries, has expanded," he noted. "It has become a much more challenging and complex landscape and we will have to chart a path … that finds consensus if we are to evolve a stable and robust security architecture". . . .